OXFORD, Miss. – Three faculty members in the University of Mississippi School of Pharmacy have won competitive 2019 New Investigator Awards from the American Association of Colleges of Pharmacy, giving the school five winners over the past two years. AACP honors a limited number of research projects from junior faculty across the country every year. UM’s three winners for 2019 were Marie Barnard, Sujith Ramachandran and Vitor Pomin, who join UM’s two 2018 recipients of the award. 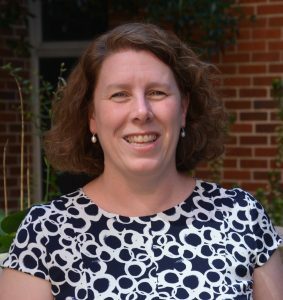 Barnard, assistant professor of pharmacy administration, won the NIA award for her project that seeks to train pharmacists to care for patients experiencing intimate partner violence, or IPV, which is a prevalent issue that negatively affects health and health care costs. Barnard said she has been looking forward to this project for a long time, as her dissertation project explored IPV and pharmacy care. Throughout her research, Barnard found that many pharmacists saw the effects of IPV on their patients and wanted to help, but lacked proper training. 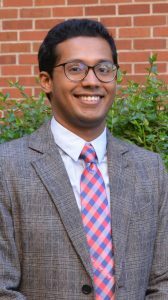 Ramachandran, also an assistant professor in the Department of Pharmacy Administration, won the award for his research proposal that focuses on the misuse of prescription stimulants such as Adderall and Ritalin among college students. Ramachandran wants to find a way to more accurately measure the rate of misuse using an innovative technique that improves survey confidentiality, as well as to look into potential causes of the misuse. “Winning the award on my very first attempt is a validation of my efforts, and it helps me kick-start what I hope to be a long and successful research career,” Ramachandran said. This research is a follow-up to his dissertation project, which he worked on with his adviser, John Bentley, chair of the pharmacy administration department. Ramachandran prepared his submission for the award over the course of a year, speaking with Bentley and past winners to hone his application. Pomin’s research centers on preventing blood clots and improving heart health using carbohydrates found in certain marine species. For this, the assistant professor of pharmacognosy and his research team will use the pharmacy school’s state-of-the-art nuclear magnetic resonance spectroscopy instruments. 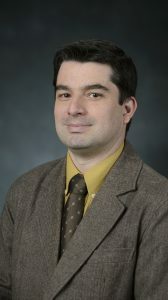 “This award will not only help establish of my research programs as a new faculty member of the UM School of Pharmacy, but will also bring a lot of enthusiasm to my research group to keep targeting important questions in the fields of NMR, structural biology, glycobiology and marine medicinal glycomics,” Pomin said. David D. Allen, dean of the pharmacy school, said he is “thrilled for these faculty members and grateful for their contributions to the school’s culture of research excellence.